Dr. Ozzie Gontang joined Guarneri Integrative Health, Inc. in 2018 and has more than 40 years of experience as a psychotherapist primarily working with individuals in high stress work positions and conflict resolution. 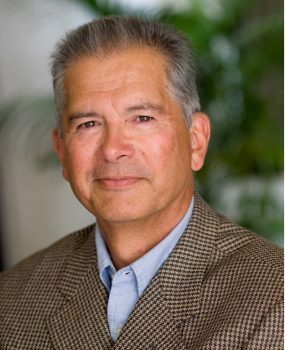 He also has 20 years of experience as a group leader for support to patients with severe heart disease and related health problems at Scripps Center for Integrative Medicine (SCIM). His education includes: Bachelor of Arts – Villanova University; Master of Arts in Theology; Master of Arts in Rehabilitation Counseling; Ph.D. Psychology; Psychotherapist, CA Licensed Marriage & Family Therapist; Fellow, Thayer Institute for Performance Virtuosity; International Association of Running Therapists; Vistage International Master Chair. From 1995 until 2017, he worked at Scripps Clinic Torrey Pines. What started out as a weight and stress prevention program morphed in 1996 into the Scripps Clinic Ornish Reversing Heart Disease Program. The program developed into what has become Scripps Center for Integrative Medicine (SCIM), an early leader in the world for alternative and integrative medicine, under the leadership of Dr. Guarneri and co-founder, Rauni Prittinen King, RN. He led the emotional support groups over these years. The focus has been on assisting people to realize they are in charge of their health and well-being and that Integrative Medicine is there as a resource to guide them along that path. He has more than 30 years as a group facilitator & individual coach to CEOs with Vistage International, formerly TEC, world’s largest membership CEO organization. Dr. Gontang was Vistage’s Cope Award Winner for 2001. Vistage International acknowledges yearly the top Chair recognized for their outstanding contribution to Vistage, fellow Vistage Group Chairs and to the Vistage community. Since 2016 has been giving workshops to Vistage groups on Mindfulness and Stress Reduction. Some areas of his work include conflict resolution, crisis management, coaching and counseling high profile individuals regarding behaviors that can be career-stopping; teamwork; workshops in communication and behavioral styles; the dynamics of group behavior, creating high performance collaboration and communication, and stress management. For an appointment with Dr. Gontang, please contact our Front Desk at 858-459-6919.